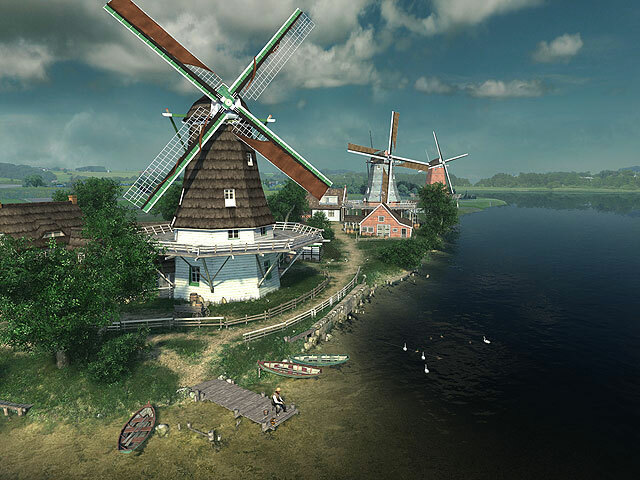 ﻿ Dutch Windmills 3D Screensaver – Bring yourself back to the times of the old Netherlands! Any schoolchild knows that the windmill is a symbol of Holland. Indeed, the density of these buildings per square kilometer in the Netherlands is far higher than in any other country. This particular devotion of people from the Country of Tulips to this survival of the past is quite clear: they respect their history that is directly connected with the vast plains where the wind hardly ever stops blowing. 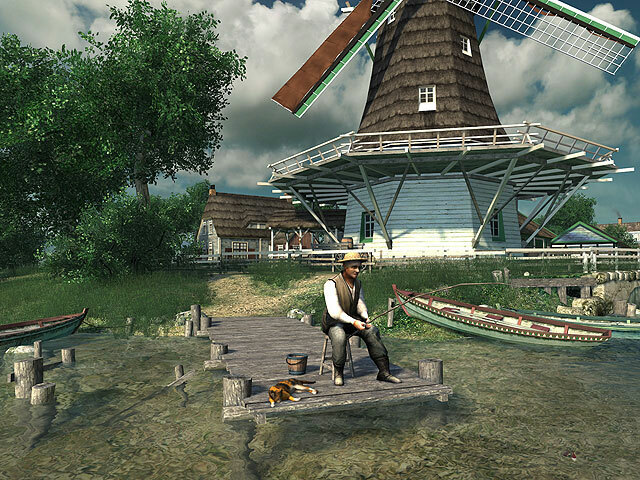 The Dutch Windmills animated 3D screensaver will allow you to immerse in the atmosphere of a regular medieval Dutch village and understand how attractive a massive creaking windmill working for the benefit of people day and night can be. And you are sure to like watching the life of the miller and his family, their large household, the beauty of local landscapes characterized by a lot of water resources. You cannot call history an exact science, but who wouldn't like to get several centuries back and see how people lived in those times when there wasn't even a trace of electricity? The new Dutch Windmills 3D screensaver for Windows 10 will give you this opportunity, even though a virtual one. 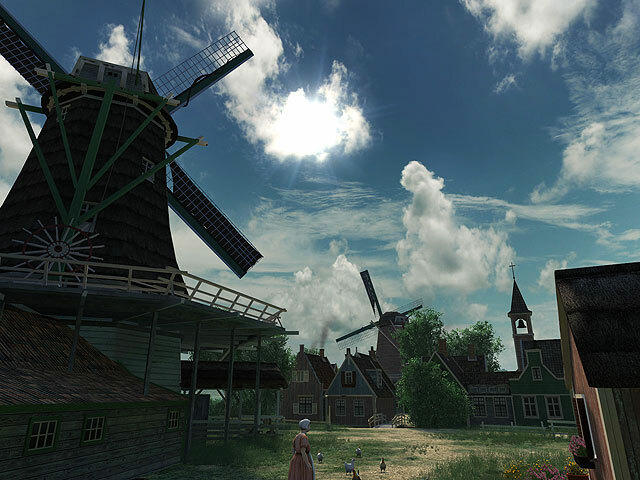 Using the computer time machine, you will get the panoramic view of a slowly paced life in a regular medieval village and watch excellent medieval pastoral landscapes. Every detail of the image is thoroughly created, even windmills look so realistic that you start to feel the vibration of wooden millstones grinding grains into flour.